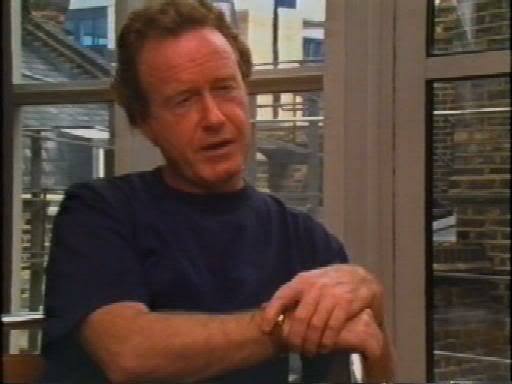 Documentary profile of film director Ridley Scott. The programme traces Scott’s career from West Hartlepool Art School to the Royal College of Art to the BBC, where he worked as a designer and later director on programmes such as SOFTLY SOFTLY and ADAM ADAMANT LIVES! (extract shown). 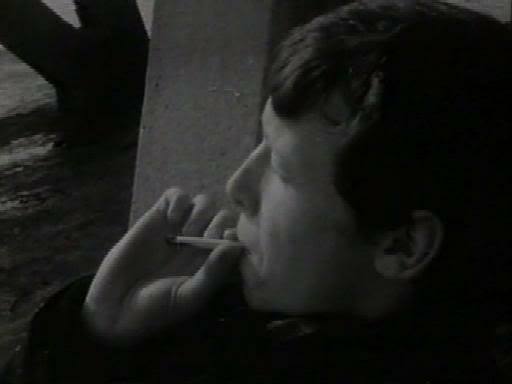 He then moved into advertising, his most celebrated work being the Hovis advertisements – works of his shown include films for Bird’s Eye Fish Fingers “Stowaway” (1969), Hovis “Bike Ride” and Apple Computers “1984” (1983). His brother Tony Scott also talks about his work in commercials, and how he took over the direction of the Hovis adverts when Ridley moved into features. After such work and the BFI-produced BOY AND BICYCLE (1965) made with his brother Tony (extracts shown), he then moved into feature film direction: extracts shown from THE DUELLISTS (1977), ALIEN (1979), BLADE RUNNER (1982), SOMEONE TO WATCH OVER ME (1987), BLACK RAIN (1989), THELMA & LOUISE (1991) and his most recent film, shown in production, 1492: CONQUEST OF PARADISE (1992). Ridley Scott’s direction of the film LEGEND (1985) is not considered in the programme. Various interviewees comment on his working methods, his flashes of temper, and his mastery of screen visuals. The contributors to the programme include Susan Sarandon, Sigourney Weaver, Michael Douglas, David Puttnam, Gerard Depardieu, Iain Smith, Stephen Crowther (a teacher from West Hartlepool Art School), Tony Scott, ad executive Barry Day, Keith Carradine, sons Jake and Luke Scott, H.R. Giger, Mimi Rogers, Andy Garcia, Callie Khouri, Geena Davis and BBC set designer Jeffrey Kirkland.